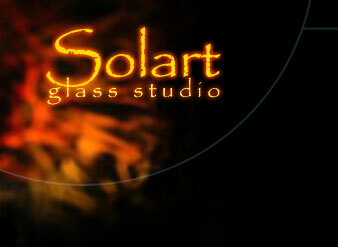 Environmentally oriented glass blowing studio with strong links to the community. Located in a natural setting with a spiritual atmosphere conducive to creating beautiful art. Visitors of all ages come to watch the magic of the ancient art of glass blowing. 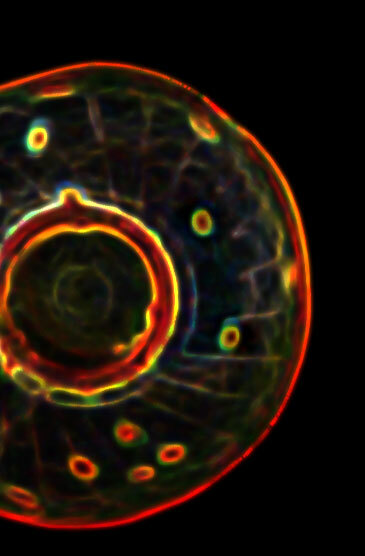 Sol Maya's "Saturn rings" utilize earth, fire, water and air. "The glass embraces the light, a vessel for the spirit of the fire. The sun is the fire. The light is the spirit." Sol's inspiration comes from many sources. 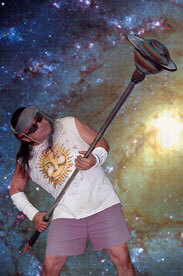 His Native American spirituality, his love of surfing the ocean waves and his natural interest in space and the stars inherited from his Mayan ancestors, are all reflected in his work. Sol's wish is to share his "rings" with the people of the world. He hopes that you will feel what he feels.